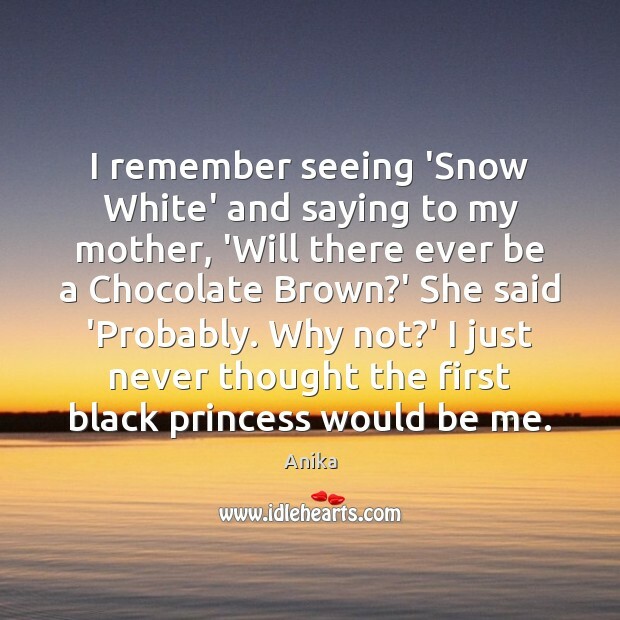 Enjoy the best inspirational, motivational, positive, funny and famous quotes by Anika. Use words and picture quotations to push forward and inspire you keep going in life! 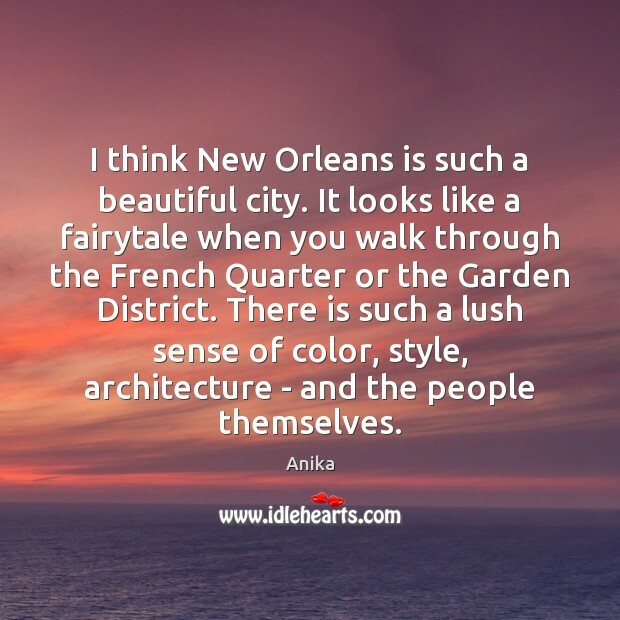 I think New Orleans is such a beautiful city. It looks like a fairytale when you walk through the French Quarter or the Garden District. There is such a lush sense of color, style, architecture - and the people themselves. As a person who came from a small town and had dreams of becoming an actor, I know what it's like to have no support system for what it is that you want to do. A lot of people think you don't have a chance. I know some of those 'Glee' people, and they can really sing! I wish we could hear them live, because I know some of them and they can really sing like nobody's business.